Jerry Baker, oil on canvas, 10 x 8 inches, 2016. As you may know, I am a landscape painter, not a portraitist. My passion is the natural world, how we affect it, and how it affects us. My other passion is bicycle racing. Jerry Baker was the father, godfather, and enthusiastic kid brother, all rolled into one, of bicycling and bike racing in this region. He started or had a hand in starting nearly every significant cycling organization in Seattle. Including the Marymoor Velodrome, a 400-meter banked concrete oval where I learned to race and have spent nearly every summer for the past 20 years. After his unexpected death last year, the velodrome he founded and nurtured in King County’s Marymoor Park was renamed the Jerry Baker Memorial Velodrome in his honor. I knew I also wanted to commemorate Jerry, to thank him for his leadership, enthusiasm, and doggedness in building a wider cycling community with opportunities and joy for all. 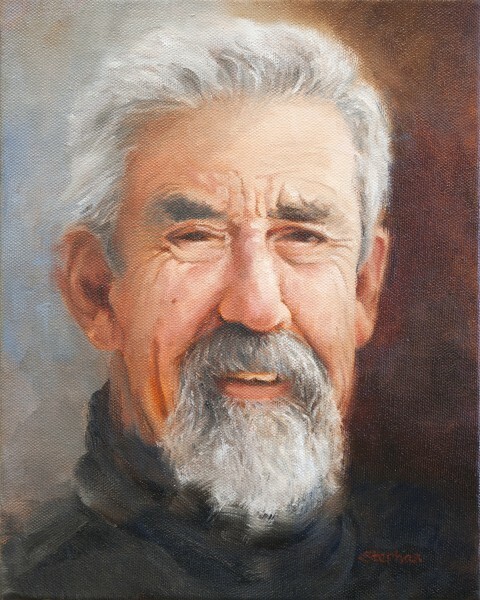 The auction was a terrific success, and after spirited bidding the generous winner of the portrait gave it to the Baker family: truly a beautiful example of the community Jerry Baker built. A win/win situation – but I feel like the biggest winner. I thought I was creating the painting for the sake of the velodrome and its fundraising. But really, I created it for myself. For a week, I spent each day in the studio, alone with the radio and Jerry Baker, seeing him more carefully than I ever had in life, thinking about his energy, his lessons, and above all, his example. I can’t help but be a better person for it. 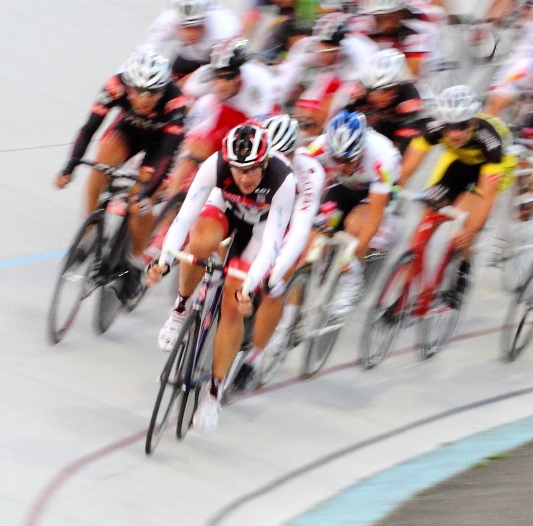 More about Jerry Baker and his velodrome.